I've always considered myself very open to answering questions from other photographers and clients alike about my business and how I work. I find it rewarding the share the wealth I've learned, especially when many photographers can be closed off and almost secretive. Lame. I've made it my mission (so serious!) to be open because we all start somewhere and I certainly started in an ugly, ugly place. Don't even get me started on the fact that this gorgeous girl is now a senior in high school. "They" always say not to get down on yourself by comparing yourself to other photographers, but rather look back at your old work. 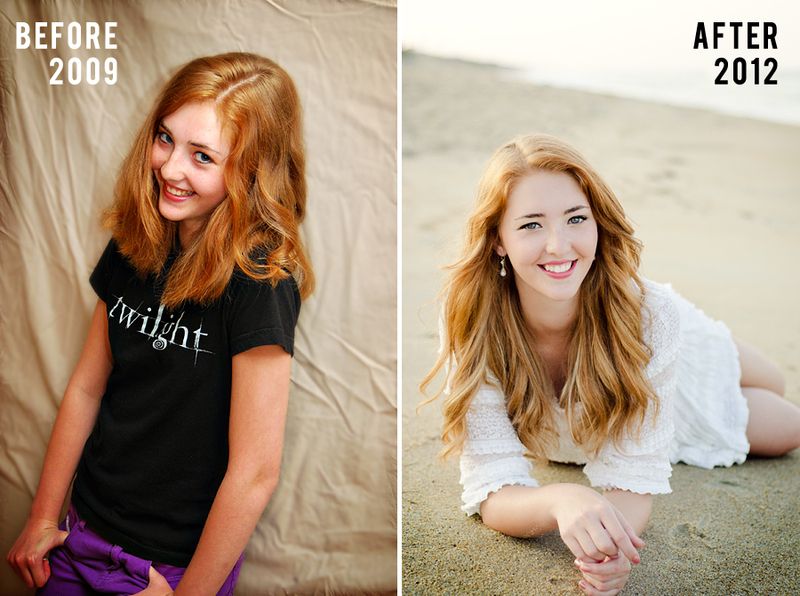 Looking at these two images I am incredibly proud of how much I've grown as a photographer over the past 3 years. Practice makes perfect - workshops, research, and other great photographer friends to bounce ideas off don't hurt either! Stay tuned to the Facebook or the blog for a special announcement about mini-sessions this September! !